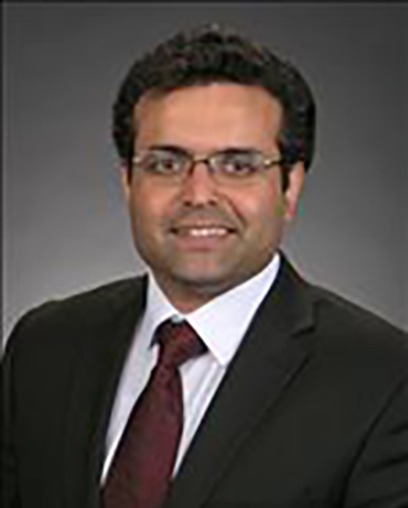 Dr. Sohit P. Kanotra is a fellowship-trained pediatric ENT (otolaryngologist), specializing in head and neck and endocrine surgery in children. He is a member of the Cleft and Craniofacial Team at Children’s Hospital of New Orleans (CHNOLA). Working closely with the Speech, Language and Audiology Department at CHNOLA, Dr. Kanotra specializes in problems associated with the ears, nose and throat, providing caring treatment for children born in New Orleans, Louisiana, and the Gulf Coast. Dr. Kanotra is also Assistant Professor of Pediatric Otolaryngology at the School of Medicine at LSU Health Sciences Center in New Orleans. Dr. Kanotra was born and raised in India and received his medical education at Government Medical College in Jammu before completing his otolaryngology residency in Srinagar. Following residency, Dr. Kanotra completed a one-year head and Neck Endocrine fellowship at St. Luke’s/Roosevelt Hospital in New York (now part of the Mount Sinai Health System). Thereafter, pursuing his passion for the care of children, Dr. Kanotra completed a fellowship in pediatric otolaryngology (pediatric ENT) at the Hospital For Sick Children in Toronto, Canada, which is one of the world’s foremost pediatric health-care institutions, providing the best in specialized care for young families. As one of the top pediatric ENT surgeons in the country, Dr. Kanotra has authored several influential papers on aspects of otolaryngology and he continues to pioneer the use of patient-specific cochlear implants in children. Dr. Kanotra’s clinical practice is focused on pediatric/open airway reconstructions, head and neck tumors in children (including vascular anomalies), pediatric sleep apnea, pediatric thyroid disease, minimally-invasive ear surgery, and the management of pediatric hearing loss and other craniofacial anomalies. Dr. Kanotra is a member of the American Academy of Otolaryngology and Head and Neck Surgery and the American Neurotology Society. He lives in New Orleans.